The flags define if embedded RP is used, if the address is based on unicast and if the address is IANA assigned or not (temporary). 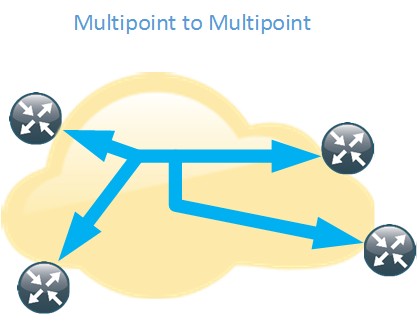 The unicast based IPv6 multicast address allows an organization to create globally unique IPv6 multicast groups based on their unicast prefixes. This is similar to GLOP addressing in IPv4 but does not require an Autonomous System Number (ASN). IPv6 also allows for embedding the RP address into the multicast address itself. This provides a static RP to multicast group mapping mechanism and can be used to provide interdomain IPv6 multicast as there is no MSDP in IPv6. When using Ethernet, the destination MAC address of the frame will start with 33:33 and the remaining 32 bits will consist of the low order 32 bits of the IPv6 multicast address. 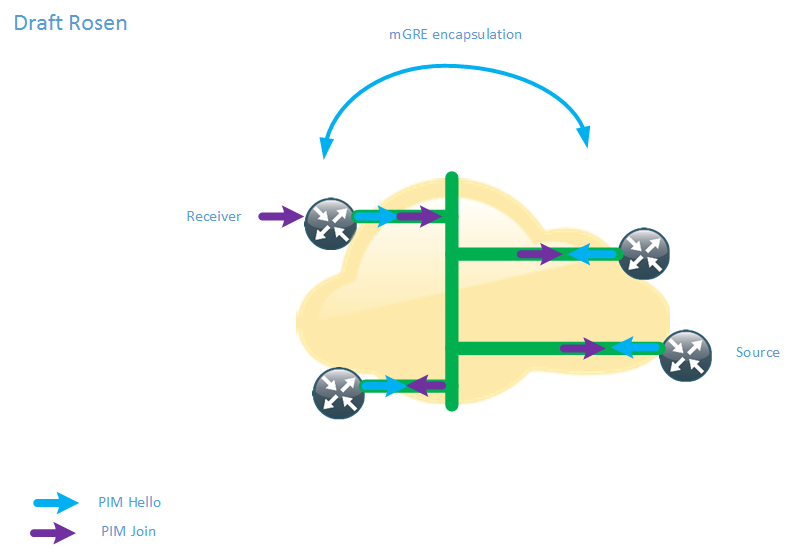 IPv6 also uses multicast to replace ARP through the neighbor solicitation process. To do this the solicited node multicast address is used and the prefix is FF02::1:FF/104 and the last 24 bits are taken from the lower 24 bits of the IPv6 unicast address. If Host A needs to get the MAC of Host B, Host A will send the NS to the solicited node multicast address of B. IPv6 also does Duplicate Address Detection (DAD) to check that noone else is using the same IPv6 address and this also uses the solicited node multicast address. If Host A is checking uniqueness of its IPv6 address, the message will be sent to the solicited node multicast address of Host A.
MLDv2 does not use a specific Done message which is equivalent to the Leave message in IGMP. It will stop sending Reports or send a Report which excludes the source it was previously interested in. IPv6 does not have support for MSDP. It can support anycast RP through the use of PIM which can implement this feature. All the RPs doing anycast will use the same IPv6 address but they also require a unique IPv6 address that will be used to relay the PIM Register messages coming from the multicast sources. A RP-set is defined with the RPs that should be included in the Anycast RP and the PIM Register messages will be relayed to all the RPs defined in the RP-set. If the PIM Register message comes from an IPv6 address that is defined in the RP-set, the Register will not be sent along which is a form of split horizon to prevent looping of control plane messages. When a RP relays a PIM Register, this is done from a unique IPv6 address which is similar to how MSDP works. Sources will find the RP based on the unicast metric as is normally done when implementing anycast RP. If a RP goes offline, messages will be routed to the next RP which now has the best metric. These are my thoughts on interdomain multicast since there is no MSDP for IPv6. Embedded RP can be used which means that other organization needs to use your RP. Define a RP prefix that is used for interdomain multicast only or use a prefix that is used for internal usage but implement a data plane filter to filter out requests for groups that should not cross organizational boundaries. This could also be done by filtering on the the scope of the multicast address. 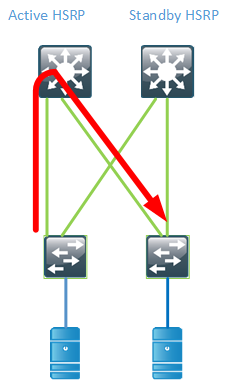 Another option would be to anycast RP with the other organization but this could get a lot messier unless a RP is defined for only a set of groups that are used for interdomain multicast. Each side would then have a RP defined for the groups and PIM Register messages would be relayed. The drawback would be that both sides could have sources but the policy may be that only one side should have sources and the other side only has listeners. This would be difficult to implement in a data plane filter. It might be possible to solve in the control plane by defining which sources the RP will allow to Register. 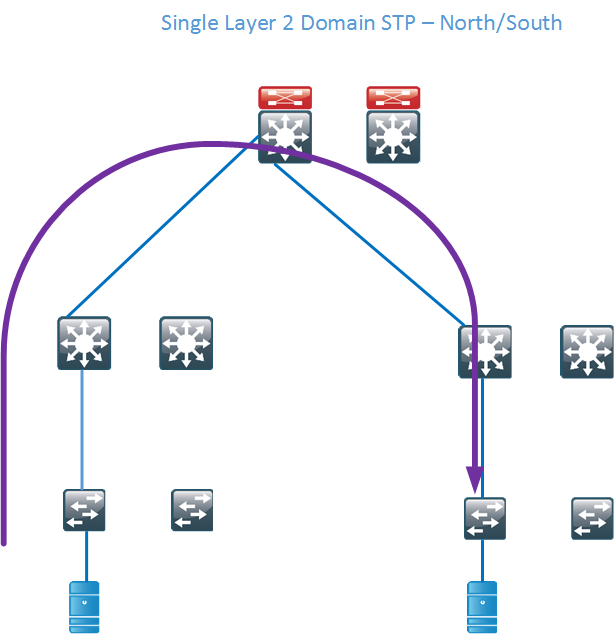 If using SSM, there is no need for a RP which makes it easier to implement interdomain multicast. There is always the consideration of joining two PIM domains but this could be solved by using static joins at the edge and implementing data plane filtering. Interdomain multicast is not something that is implemented a lot and it requires some thought to not merge into one failure domain and one administrative domain. 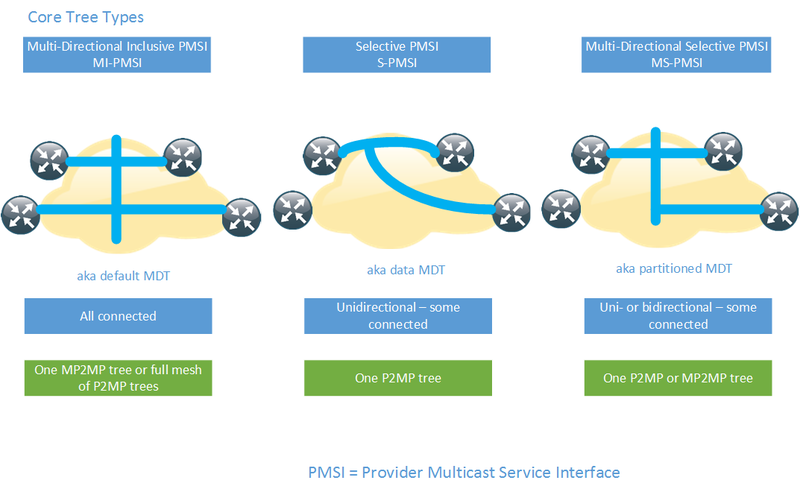 Multicast is used a lot in IPv6, multicast is more tightly integrated into the protocol than in IPv4, and it’s there even if you see it or not. The addressing, flags and scope can be a bit confusing at first but it allows for using multicast in a better way in IPv6 than in IPv4. These are my study notes regarding IPv6 deployment in SP networks in preparation for the CCDE exam. 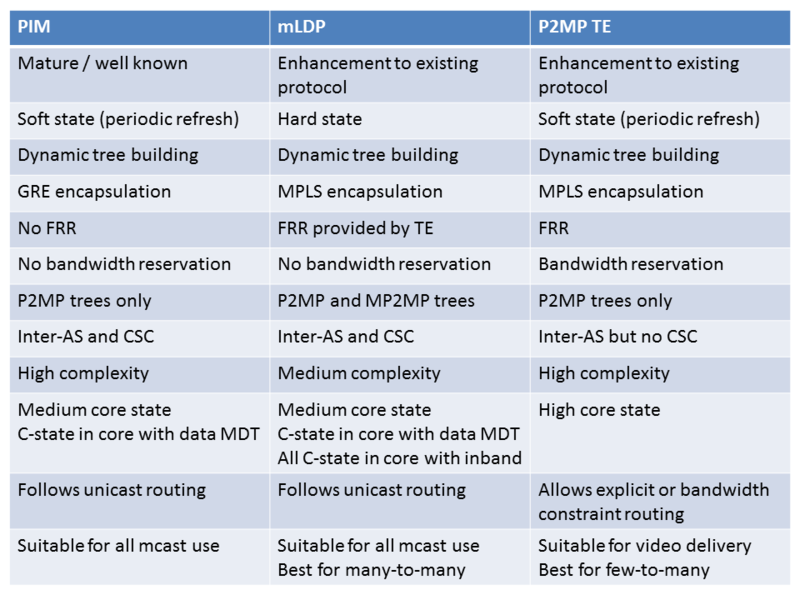 My reflection is that most cores would be MPLS enabled, however there are projects such as Terastream in Deutsche Telekom where the entire core is IPv6 enabled and L2TPv3 is used in place of MPLS. The easiest way to get going with v6 was to tunnel it over v4. The next logical step was to enable v6 but on separate interfaces to not disturb the “real” traffic and to be able to experiment with the protocol. The end goal is dual stack, at least in a non MPLS enabled network. 6PE is a technology to run IPv6 over an IPv4 enabled MPLS network. 6VPE does the same but with VRFs. 6PE is viewed as a transition mechanism but this is arguable, if you transport IPv4 over MPLS, you may want to do the same with IPv6 as well for consistency. Running 6PE means that there is fate sharing between v4 and v6 though, which could mean that an outage may affect both protocols. 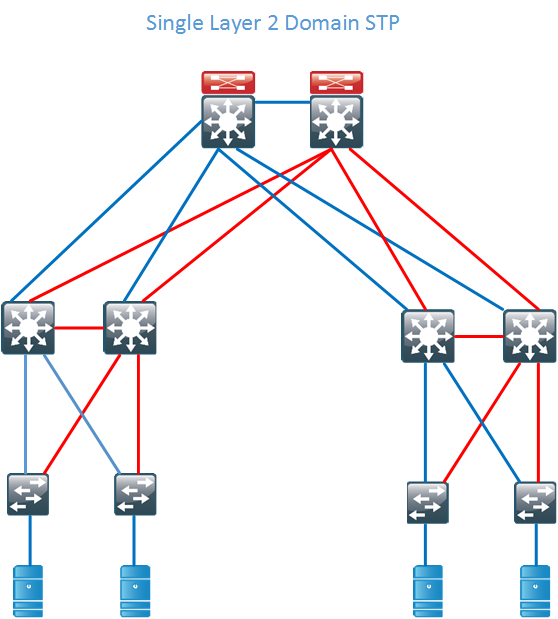 This could be avoided by running MPLS for IPv4 but v6 natively. It is a common misconception for 6PE and 6vPE that traceroutes are not possible, that is however not entirely true. A P router can generate ICMPv6 messages that will follow the LSP to the egress PE and then the ICMPv6 error message is forwarded back to the originator of the traceroute. The main driver here is if you are going to multi home or not. Renumbering is always painful but at least less so on IPv6 due to being able to advertise multiple IPv6 prefixes through Router Advertisements (RA). What type of addresses should be deployed on infrastructure links? It would be interesting to hear if you have seen any deployments with LLA only on infrastructure links. In theory it’s a nice idea but it may corner you in some cases, preventing you from implementing other features that you wish to deploy in your network. Use /126 or /127 on P2P links which is the equivalent of /30 or /31 on IPv4 links. For loopbacks use /128 prefixes. Always assign addresses from a range so that creating ACLs and iACLs becomes less tedious. This is of course for segments where there are end users. Debating prefix allocation prefixes is like debating religion, politics or your favourite OS. Whatever you choose, make sure that you can revise your practice as future services and needs arrise. I really don’t like CGN, it slows down the deployment of IPv6. It’s a tool like anything else though that may be used selectively if there is no other solution available. I have never seen IPv6 deployed over softwires, what about you readers? DNS64 is often required in combination with NAT64 to send AAAA response to the IPv6-only hosts in case the server only exists in the v4 world. 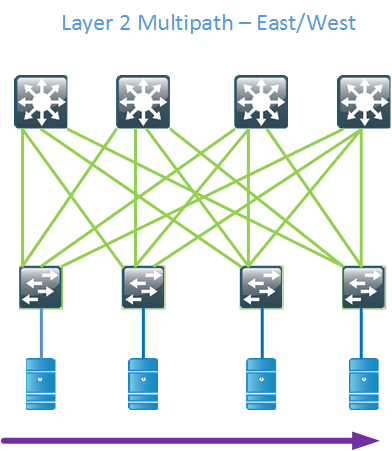 Traditional data centers have been built by using standard switches and running Spanning Tree (STP). STP blocks redundant links and builds a loop-free tree which is rooted at the STP root. This kind of topology wastes a lot of links which means that there is a decrease in bisectional bandwidth in the network. A traditional design may look like below where the blocking links have been marked with red color. 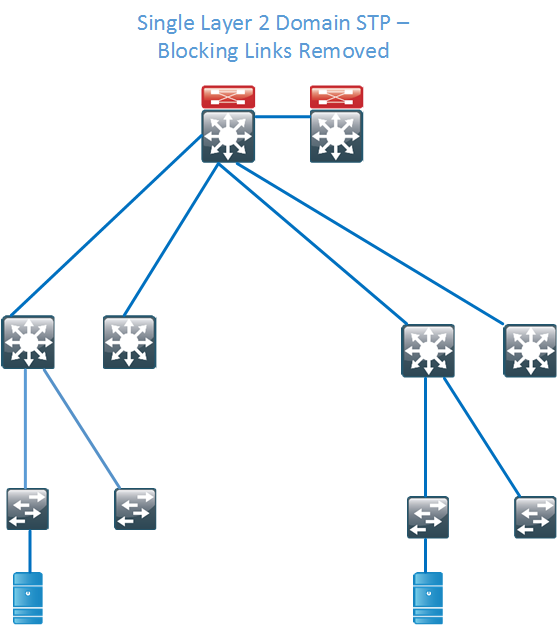 If we then remove the blocked links, the tree topology becomes very clear and you can see that there is only a single path between the servers. This wastes a lot of bandwidth and does not provide enough bisectional bandwidth. Bisectional bandwidth is the bandwidth that is available from the left half of the network to the right half of the network. The traffic flow is highlighted below. Technologies like FabricPath (FP) or TRILL can overcome these limitations by running ISIS and building loop-free topologies but not blocking any links. They can also take advantage of Equal Cost Multi Path (ECMP) paths to provide load sharing without doing any complex VLAN manipulations like with STP. A leaf and spine design is most commonly used to provide for a high amount of bisectional bandwidth. Hot Standby Routing Protocol (HSRP) has been around for a long time providing First Hop Redundancy (FHR) in our networks. The drawback of HSRP is that there is only one active forwarder. So even if we run a layer 2 multipath network through FP, for routed traffic flows, there will only be one active path. The reason for this is that FP advertsises its Switch ID (SID) and that the Virtual MAC (vMAC) will be available behind the FP switch that is the HSRP active device. 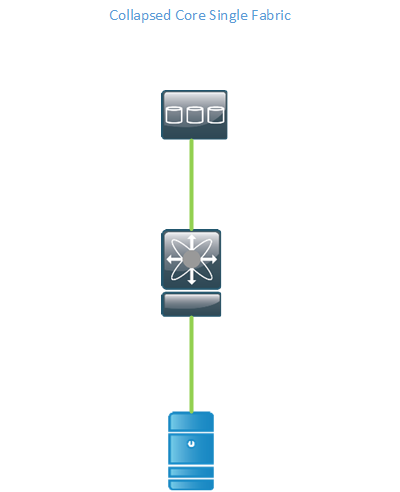 Switched flows can still use all of the available bandwidth. To overcome this, there is the possibility of running VPC+ between the switches and having the switches advertise an emulated SID, pretending to be one switch so that the vMAC will be available behind that SID. There are some drawbacks to this however. 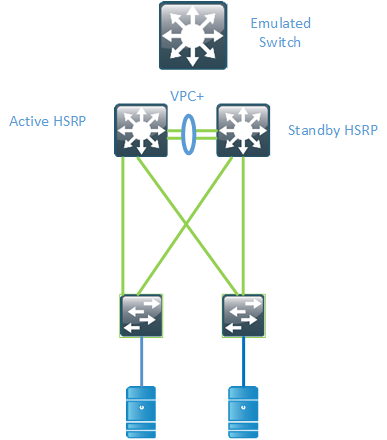 It requires that you run VPC+ in the spine layer and you can still only have 2 active forwarders. if you have more spine devices they will not be uitilized for Nort/South flows. To overcome this there is a feature called Anycast HSRP. Modern data centers provide for a lot more bandwidth and bisectional bandwidth than previous designs, but you still need to consider how routed flows can utilize the links in your network. This post should give you some insights on what to consider in such a scenario. Storage and storage protocols are not generally well known by network engineers. Networking and storage have traditionally been two silos. 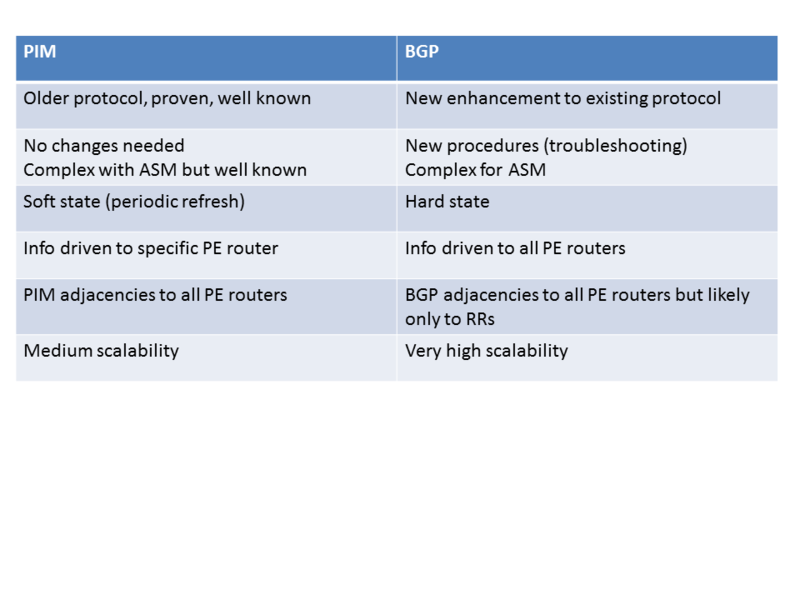 Modern networks and data centers are looking to consolidate these two networks into one and to run them on a common transport such as Ethernet. Hard disks can use different type of connectors and protocols. Storage can either be file-level storage or block-level storage. File-level storage provides access to a file system through protocols such as Network File System (NFS) or Common Internet File System (CIFS). Block-level storage can be seen as raw storage that does not come with a file system. Block-level storage presents Logical Unit Number (LUN) to servers and the server may then format that raw storage with a file system. VmWare uses VmWare File System (VMFS) to format raw devices. Storage can be accessed in different ways. Directly Attached Storage (DAS) is storage that is attached to a server, it may also be described as captive storage. There is no efficient sharing of storage and can be complex to implement and manage. To be able to share files the storage needs to be connected to the network. Network Attached Storage (NAS) enables the sharing of storage through the network and protocols such as NFS and CIFS. Internally SCSI and RAID will commonly be implemented. Storage Area Network (SAN) is a separate network that provides block-level storage as compared to the NAS that provides file-level storage. Everything is being abstracted and virtualized these days, storage is no exception. The goal of anything being virtualized is to abstract from the physical layer and to provide a better utilization and less/no downtime when making changes to the storage system. It is also key in scaling since direct attached storage will not scale well. It also helps in decreasing the management complexity if multiple pools of storage can be accessed from one management tool. One basic form of virtualization is creating virtual disks that use a subset of the storage available on the physical device such as when creating a virtual machine in VmWare or with other hypervisors. Virtualization exists at different levels such as block, disk, file system and file virtualization. One form of file system virtualization is the concept of NAS where the storage is accessed through NFS or CIFS. The file system is shared among many hosts which may be running different operating systems such as Linux and Windows. Block level storage can be virtualized through virtual disks. The goal of virtual disks is to make them flexible, being able to increase and decrease in size, provide as fast storage as needed and to increase the availability compared to physical disks. There are also other forms of virtualization/abstracting where several LUNs can be hidden behind another LUN or where virtual LUNs are sliced from a physical LUN. Fibre channel is a technology to attach to and transfer storage. FC requires lossless transfer of storage traffic which has been difficult/impossible to provide on traditional IP/Ethernet based networks. FC has provided more bandwidth traditionally than Ethernet, running at speeds such as 8 Gbit/s and 16 Gbit/s but Ethernet is starting to take over the bandwidth race with speeds of 10, 40, 100 or even 400 Gbit/s achievable now or in the near future. World Wide Node Name (WWNN) – A globally unique identifier assigned to each FC node or device. For servers and hosts, the WWNN is unique for each HBA, if a server has two HBAs, it will have two WWNNs. World Wide Port Number (WWPN) – A unique identifier for each FC port of any FC device. A server will have a WWPN for each port of the HBA. A switch has WWPN for each port of the switch. 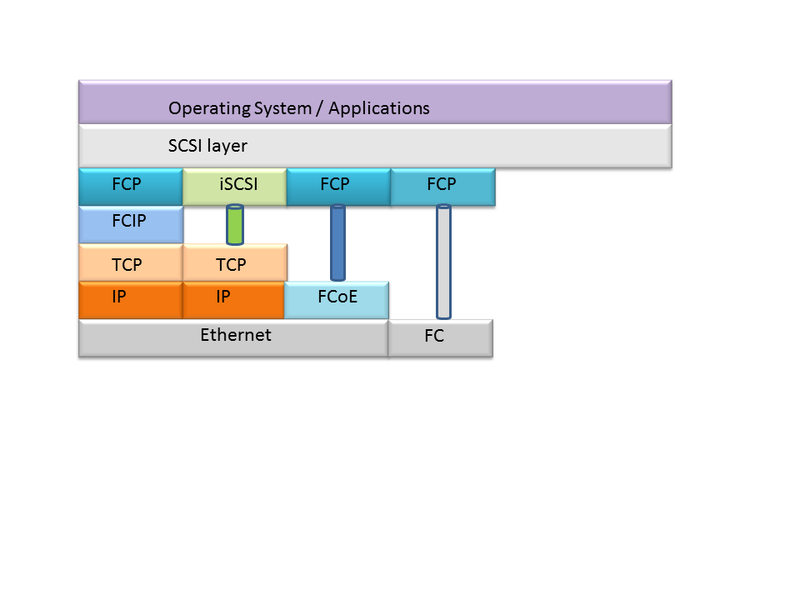 Fibre channel has many similarities to IP (TCP) when it comes to communicating. FC requires lossless transport and this is achieved through B2B credits. Virtual SANs allow to utilize the physical fabric better, essentially providing the same functionality as 802.1Q does to Ethernet. To find the best path through the fabric, FSPF can be used. The concept should be very familiar if you know OSPF. To provide security in the SAN, zoning can be implemented. What are the drivers for implementing a SAN? Most SAN designs will have oversubscription or fan-out from the storage devices to the hosts. Follow guidelines from the storage vendor to not oversubscribe the fabric too heavily. When consolidating storage, there is an increased risk that all of the storage or a large part of it can be brought offline if the fabric or storage controllers fail. 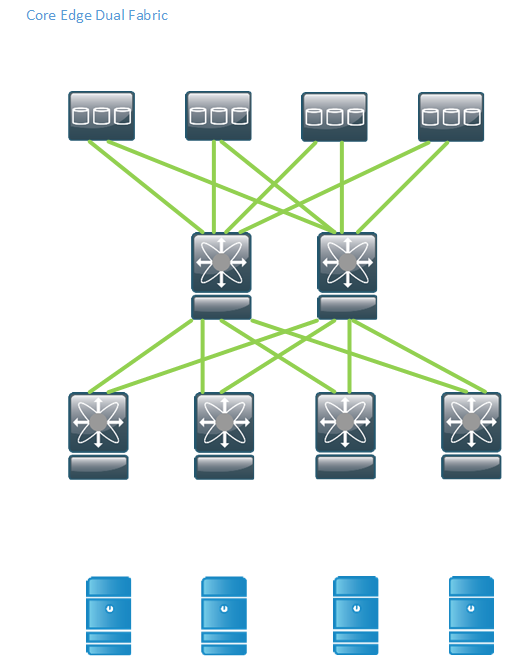 Also be aware that when using virtualization techniques such as vSANS, there is fate sharing because several virtual topologies use the same physical links. The above guidelines are very general but the key here is that providing too much redundancy may actually decrease the availability as the Mean Time to Repair (MTTR) increases in case of a failure. The more nodes and links in the fabric the larger the link state database gets and this will lead to SPF runs taking a longer period of time. The general rule is that two links is enough and that three is the maximum, anything more than that is overdoing it. The use of portchannels can help in achieving redundancy while keeping the number of logical links in check. There are a few common designs in SANs depending on the size of the organization. We will discuss a few of them here and their characteristics and strong/weak points. In the collapsed core, both the iniator and the target are connected through the same device. This means all traffic can be switched without using any Inter Switch Links (ISL). This provides for full non-blocking bandwidth and there should be no oversubscription. It’s a simple design to implement and support and it’s also easy to manage compared to more advanced designs. The main concern of this design is how redundant the single switch is. Does it provided for redundant power, does it have a single fabric or an extra fabric for redundancy? Does the switch have redundant supervisors? At the end of the day, a single device may go belly up so you have to consider the time it would take to restore your fabric and if this downtime is acceptable compared to a design with more redundancy. The dual fabric designs removes the Single Point of Failure (SPoF) of the single switch design. Every host and storage device is connected to both fabrics so there is no need for an ISL. The ISL would only be useful in case the storage device loses its port towards fabric A and the server loses its port towards fabric B. This scenario may not be that likely though. The drawback compared to the single fabric is the cost of getting two of every equipment to create the dual fabric design. For large scale SAN designs, the fabric is divided into a core and edge part where the storage is connected to the edge of the fabric. 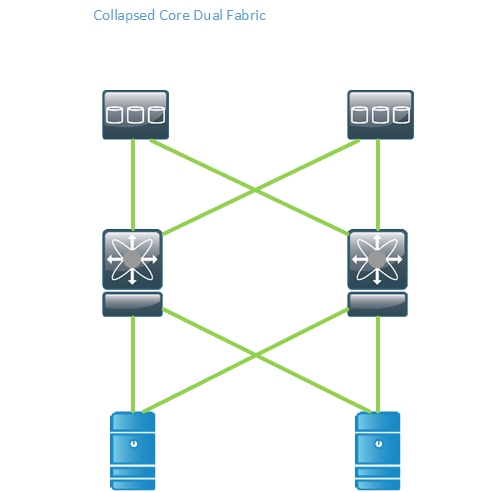 This design is dual fabric to provide high availability. The storage and servers are not connected to the same device, meaning that storage traffic must pass the ISL links between the core and the edge. The ISL links must be able to handle the load so that the oversubscription ratio is not too high. The more devices that get added to a fabric, the more complex it gets and the more devices you have to manage. For a large design you may not have many options though. Maintaining one network for storage and one for normal user data is costly and complex. It also means that you have a lot of devices to manage. Wouldn’t it be better if storage traffic could run on the normal network as well? That is where FCoE comes into play. The FC frames are encapsulated into Ethernet frames and can be sent on the Ethernet network. However, Ethernet isn’t lossless, is it? That is where Data Center Bridging (DCB) comes into play. Ethernet is not a lossless protocol. Some devices may have support for the use of PAUSE frames but these frames would stop all communication, meaning your storage traffic would come to a halt as well. There was no way of pausing only a certain type of traffic. To provide lossless transfer of frames, new enhancements to Ethernet had to be added. It is also desirable to be able to guarantee traffic a certain amount of the bandwidth available and to not have a class of traffic use up all the bandwidth. This is where Enhanced Transmission Selection (ETS) has its use. The concept is very similar to doing egress queuing through MQC on a Cisco router. We now have support for lossless Ethernet but how can we tell if a device has implemented these features? 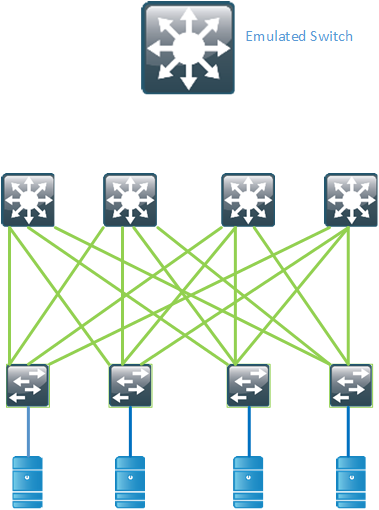 Through the use of Data Center Bridging eXchange (DCBX). What is the goal of running FCoE? What are the drivers for running storage traffic on our normal networks? This post is aimed at giving the network engineer an introduction into storage. Traditionally there have been silos between servers, storage and networking people but these roles are seeing a lot of more overlap in modern networks. We will see networks be built to provide both for data and storage traffic and to provide less complex storage. Protocols like iSCSI may get a larger share of the storage world in the future and FCoE may become larger as well. 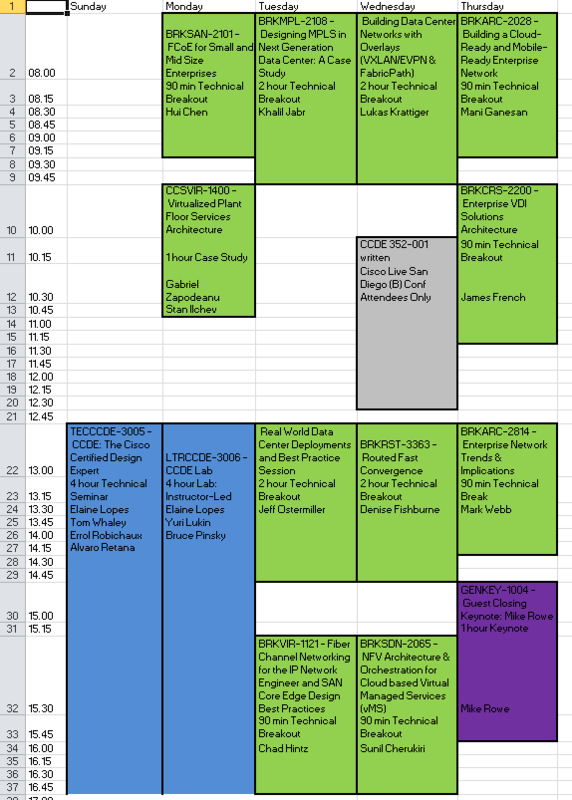 With roughly two months to go before Cisco Live starts, here is my preliminary schedule for San Diego. I have two CCDE sessions booked to help me prepare for the CCDE exam. I have the written scheduled on wednesday and we’ll see how that goes. I have a pretty strong focus on DC because I want to learn more in that area and that should also help me prepare for the CCDE. I have the Routed Fast Convergence because it’s a good session and Denise Fishburne is an amazing instructor and person. Are you going? Do you have any sessions in common? Please say hi if we meet in San Diego.